China urged Japan to abide by its promise on historical issues and follow a path of peaceful development with concrete actions on Tuesday. Foreign Ministry spokesman Hong Lei made the comments in response to Japanese Prime Minister Shinzo Abe’s remarks on Monday that he will inherit the overall stance his successors have adopted on historical issues, including the historic 1995 Murayama statement in his statement on the 70th anniversary of the end of World War II in August. 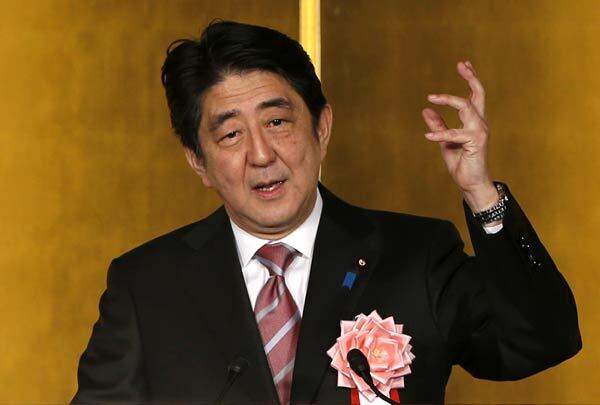 According to local media, Abe said at the New Year press conference in Ise, central Japan, that his statement will refer to Japan’s determination to act as a proactive contributor to world peace. “This year marks the 70th anniversary of the World Anti-Fascism War and the Chinese People’s War of Resistance Against Japanese Aggression. The international community will take the occasion to retrospect, review and learn from the history, and look into the future.” said Hong. He said China is watching the stance taken by the Japanese government and leaders on the past aggression history and the messages they send to the world. “We hope Japan could earnestly abide by the promises it has made on the historical issues and follow a path of peaceful development with concrete actions,” Hong said.